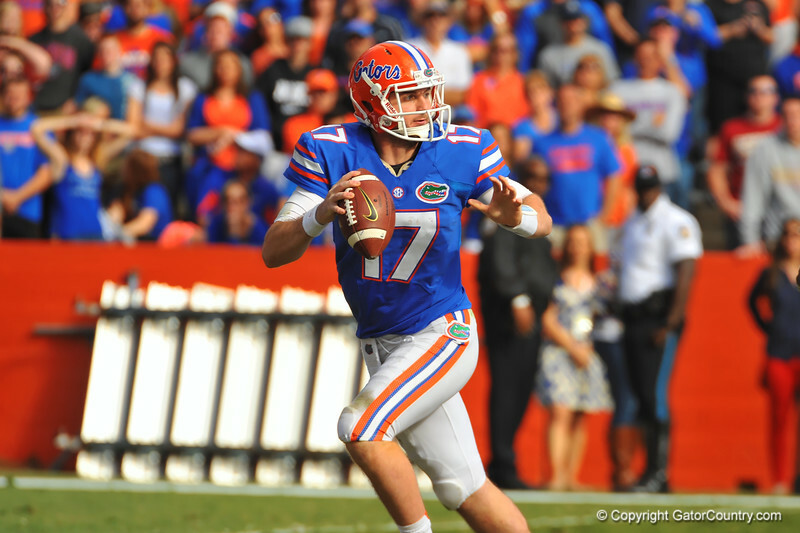 Florida quarterback Skyler Mornhinweg drops back to pass and scrambles to his right during the third quarter. Florida Gators vs Florida State Seminoles. Gainesville, FL. November 30, 2013.